Tapinoma melanocephalum is a species of ant that goes by the common name ghost ant. They are recognised by their dark head and pale or translucent legs and gaster (abdomen). This colouring makes this tiny ant (1⁄16 of an inch, 1.5 mm) seem even smaller. 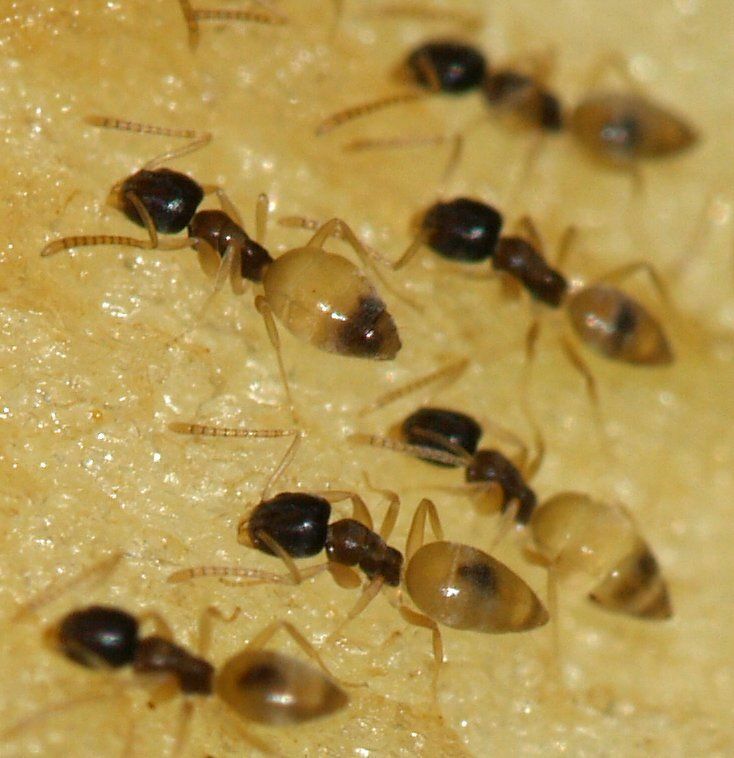 The ghost ant is small, with average lengths ranging between 1.3 to 2.0 millimetres (0.051 to 0.079 in) in workers. The antennae composes of 12 segments that thickens towards the tip. The antennal scapes exceeds the occipital border. The head and thorax is a dark brown colour while the gaster, legs and antennae are a milky white colour. Due to its small size and light colour, the ghost ant is difficult to see. Ghost ants are monomorphic and the thorax is spineless. The gaster is hairless, and has a back opening that is similar to a slit-like opening. The abdominal pedicel is formed upon a single segment that is usually unable to be seen due to the gaster, and the species do not contain a sting.